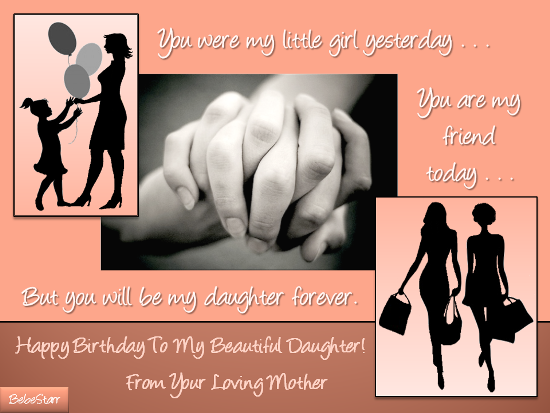 Send birthday wishes from mother to daughter. Perfect card for my Daughter!!! This card speaks to the heart from the heart. I love it. I love this card very much! !